Interactive experiences have always led the way for companies and organisations to engage with their audiences. 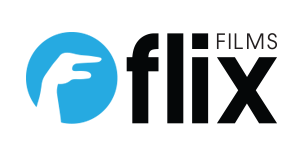 As visual media progresses into the Virtual Reality (VR) arena, Flix are embracing the medium, allowing you and your organisation to take full advantage of this advance in technology and produce interactive experiences second to none. We are also involved in research into how Virtual Reality may bring about benefits in the field of VR health care and medical treatment. We are engaged in ethically approved study (St George’s University Hospitals NHS Foundation Trust) in partnership with Royal Trinity Hospice; our common aim is to allow us to understand how VR can impact health outcomes, and create targetted VR material that will not only benefit the lives of some of the most vulnerable people in our society, but will also allow for a better and more real experience when training those who care for and work with such people. Our passion drives us to create Virtual Reality content that makes a difference. From our custom REELS training content to a 360 dance extravaganza, producing quality VR content is still a new and challenging process. We are part of a research program aimed at identifying what works, what moves people, and how best to film it. These learning’s guide all our original content development, utilising our state-of-the-art 360° camera platform and the use of full 360 ambisonics audio. The applications for 360° VR content is growing every day, but how do you explore the possibilities without really understanding the power of an immersive experience? Our VR Experience Sessions can demonstrate VR content using state-of-the-art equipment (for up to 10 people at a time) in a WiFi free environment. Our team can guide you through a tailored VR session that will allow you to understand it first-hand. For more information and pricing please contact us below. We have also sifted through 1000s of hours of existing VR content and developed some exciting playlists, to encourage users to experience the best of what is currently available and engage in this new platform. There’s nothing quite like being there – but if you can’t actually be there, what can beat a real time 360° VR live stream that lets you, your family, your group, your class, or your staff, be part of the action or event as it happens? Our camera technology can operate with minimal impact on location, and deliver an umatchable ‘being there’ experience streamed directly to you. For nearly 10 years we’ve been creating effective 2 dimensional training films, so we are very keen to try something new with exciting 360° VR technology! We create Reality Enhanced Experiential Learning Scenarios (REELS) that improve employee performance and quickly equips them with an enhanced skill set to take on real life situations. Content that allow a ‘hands on’ experience, and deliver exceptional engagement, skills building, and information retention. Our VR camera platform can remotely record training sessions in full 360° – allowing learners to ‘be in the seat’ from wherever they are in the world.